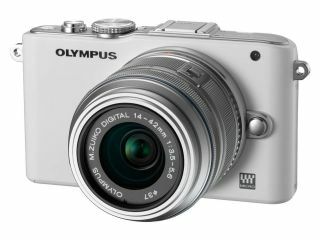 A spokesperson for Olympus has said that if Canon introduces its rumoured APS-C size mirrorless camera, it would be a mistake. Speaking to TechRadar, Mark Thackara, Olympus UK marketing manager, said, "If Canon comes in with an APS-C size [mirrorless] camera then they have misunderstood the point." "You don't get the size advantage with an APS-C sensor," he said. Canon is currently the only major camera manufacturer without a compact system camera on the market, but rumours have been circulating for months that the company is about to introduce one. Last month, a leaked patent appeared to show that Canon was developing a set of small lenses compatible with an APS-C sized sensor. It would be a different direction from its biggest rival Nikon, which introduced the Nikon 1 system in September 2011 featuring a small sensor. Other manufacturers have mostly chosen between Micro Four Thirds (Olympus and Panasonic) and APS-C (Samsung, Sony, Pentax and Fujifilm). Although an APS-C sensor means the cameras need to be a certain size, it does have certain advantages in terms of low light capabilities. Some have suggested that Canon would favour a larger sensor in order to be more compatible with its existing range of DSLR lenses. Most enthusiast and entry level DSLRs feature an APS-C size sensor, while Canon's recently announced G1X advanced compact camera also features a sensor which is almost the same as APS-C in height but in a 4:3 ratio. It has also been suggested that the G1X sensor will be the same as what eventually appears in a mirrorless model. It seems almost inevitable that Canon will introduce a compact system camera, but whether that will be sooner rather than later is another question.